axle. It had an option of a 5.14:1 ratio and Locking Limited Slip Differential. 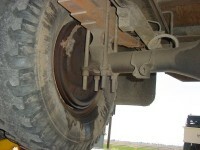 This is a "Full-floating"
of the axle tube, allowing shafts to literally float within the housing. 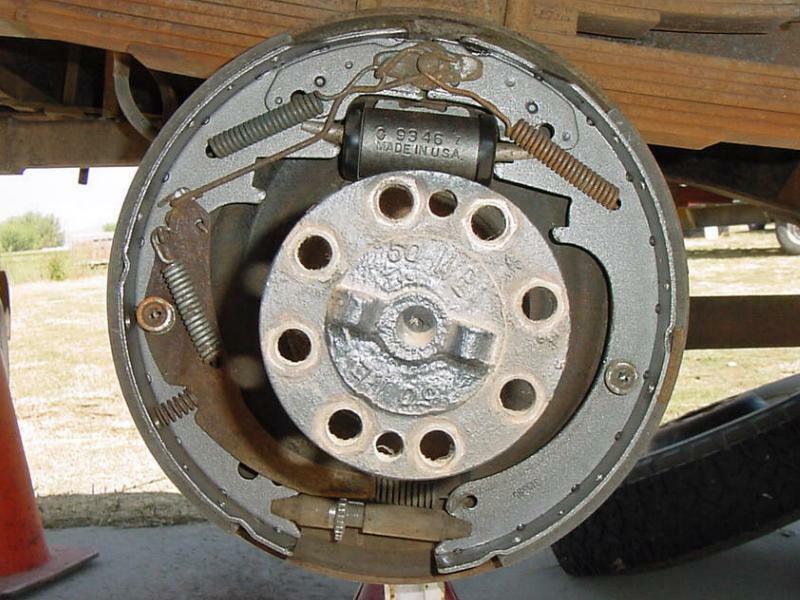 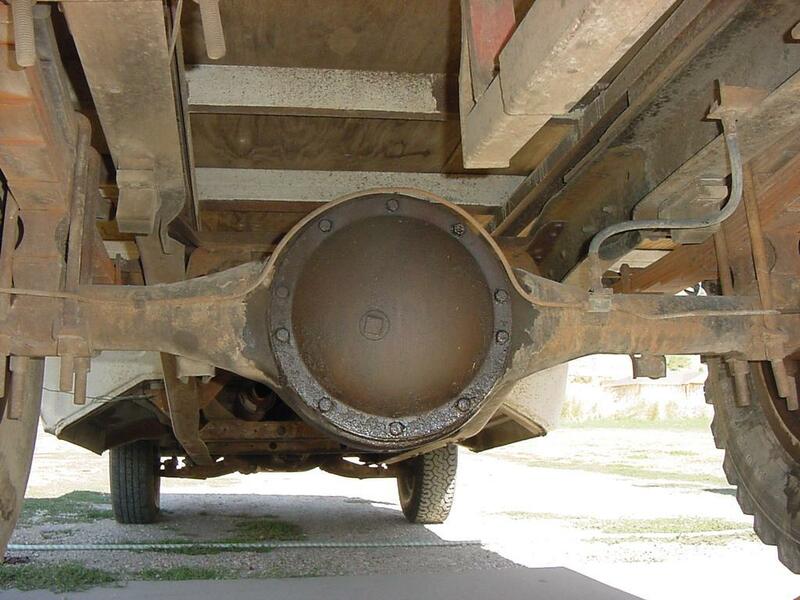 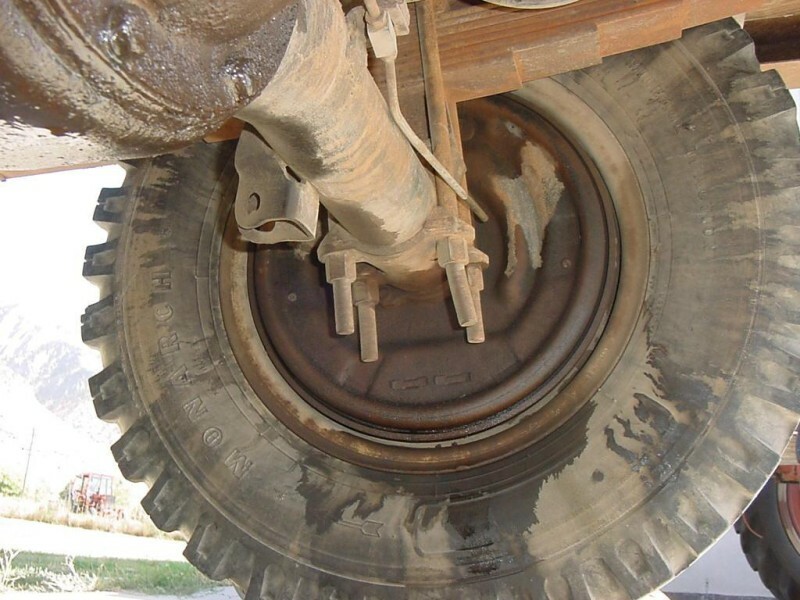 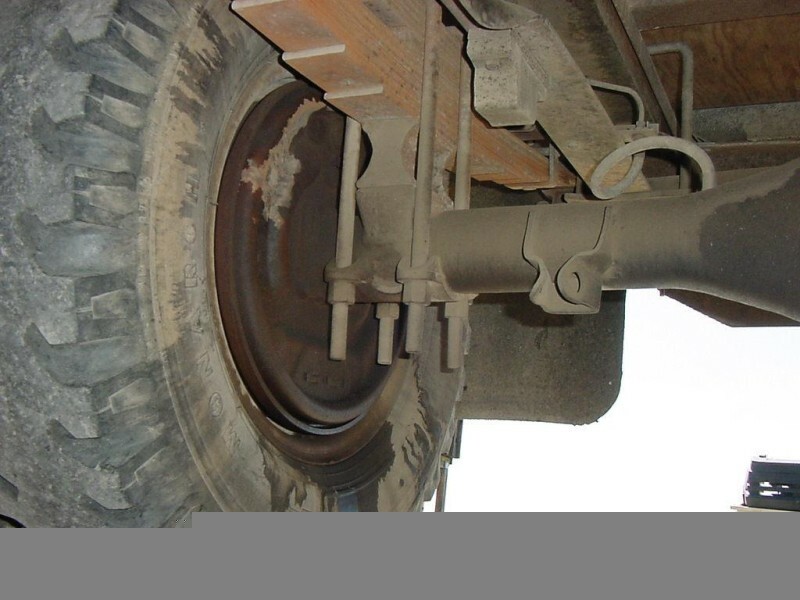 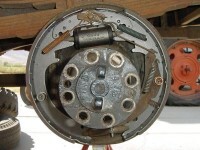 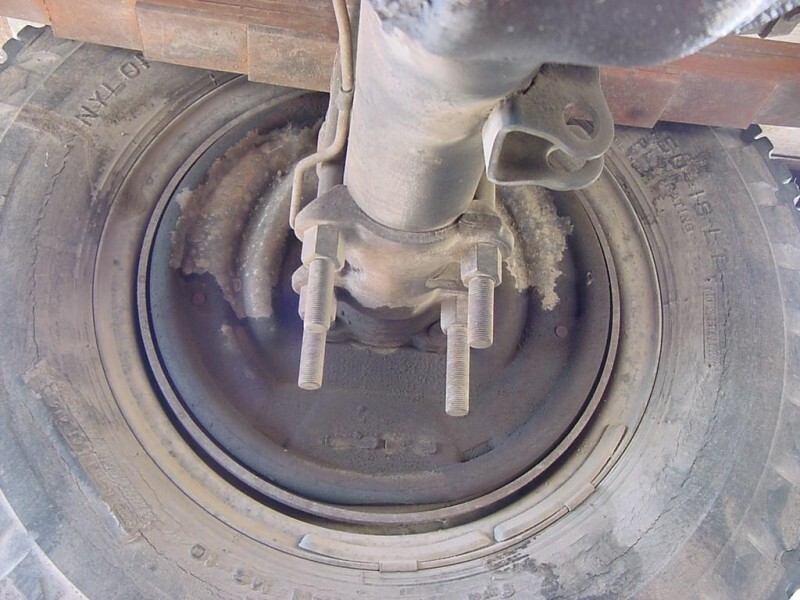 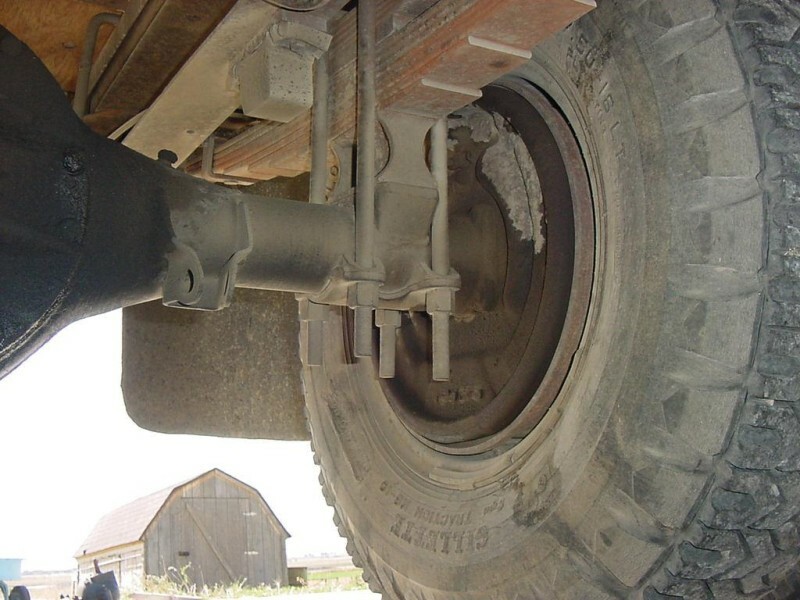 See the Axle Data Page For More. 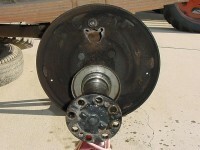 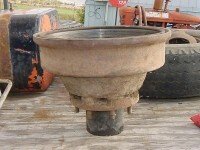 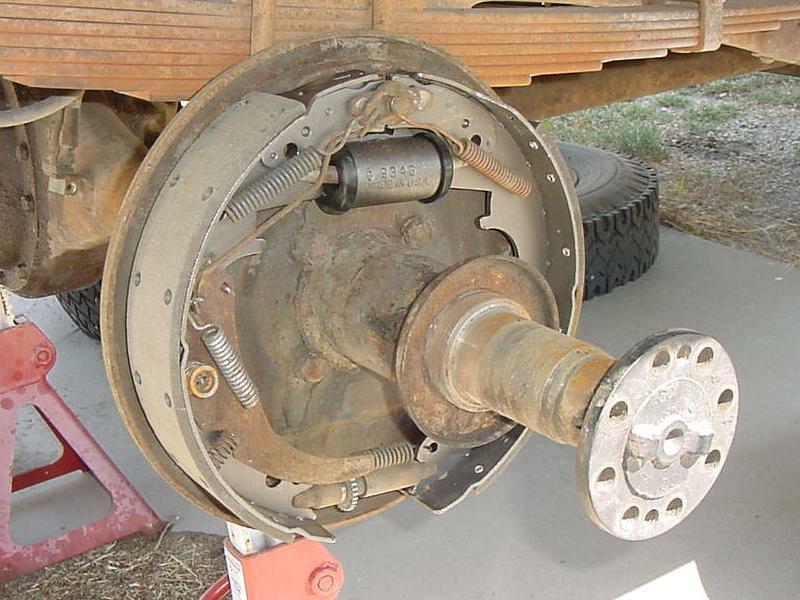 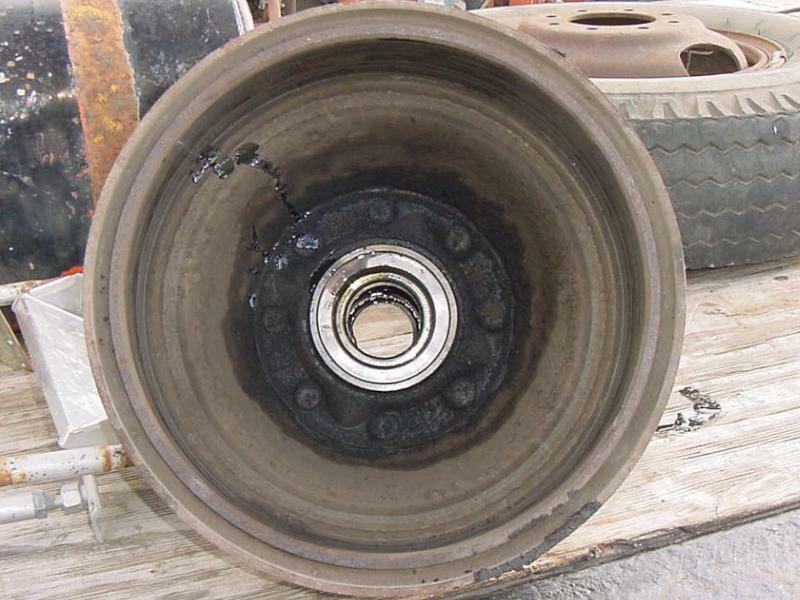 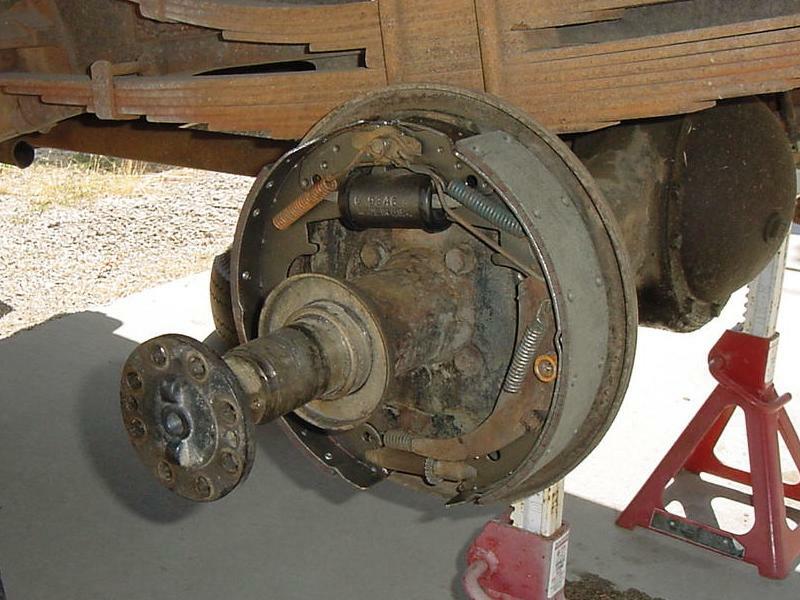 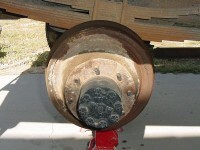 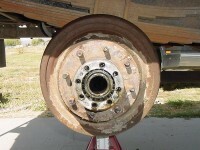 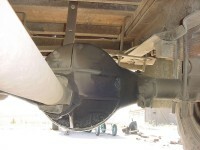 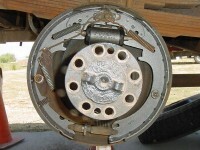 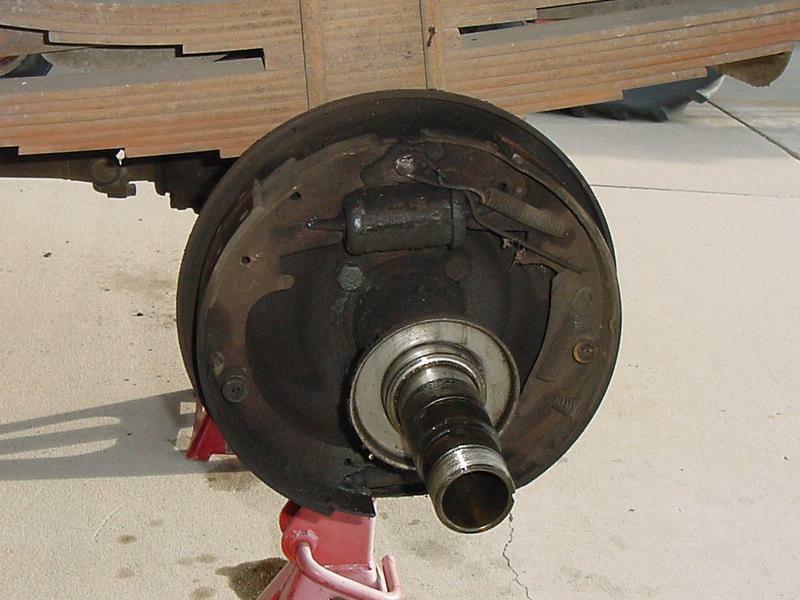 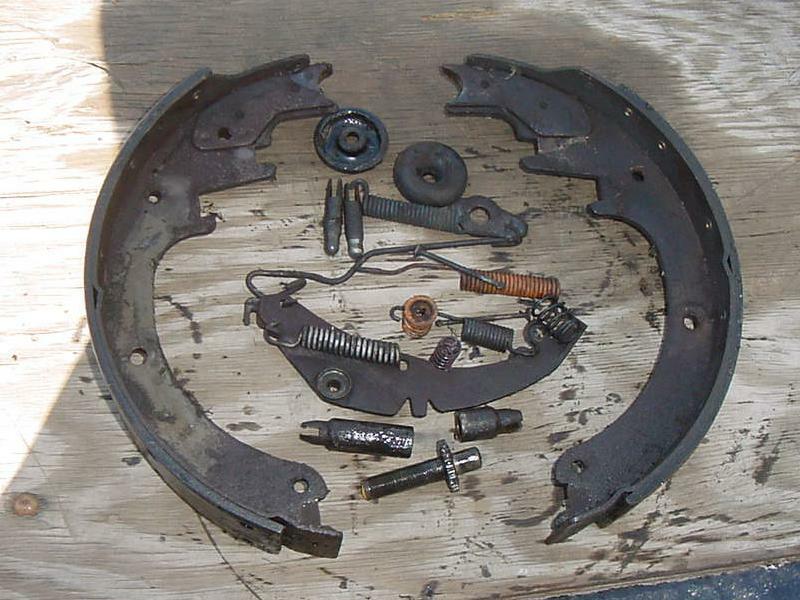 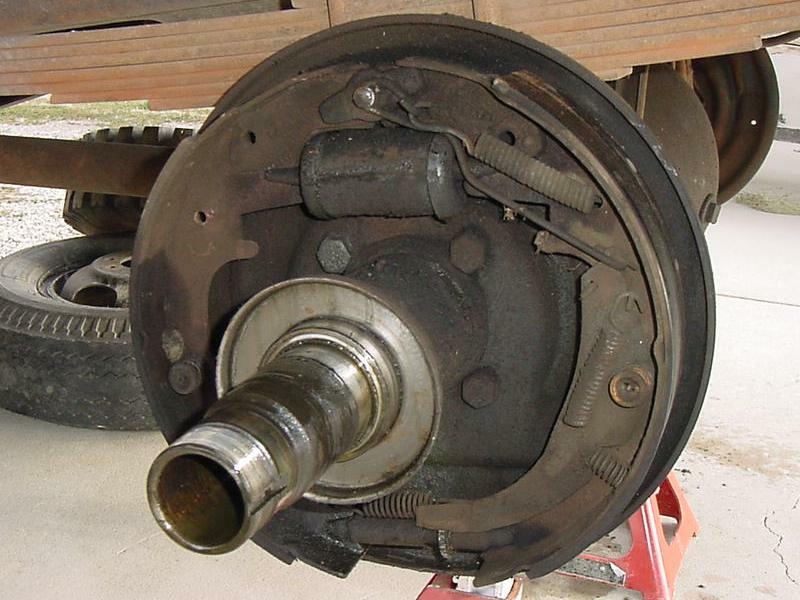 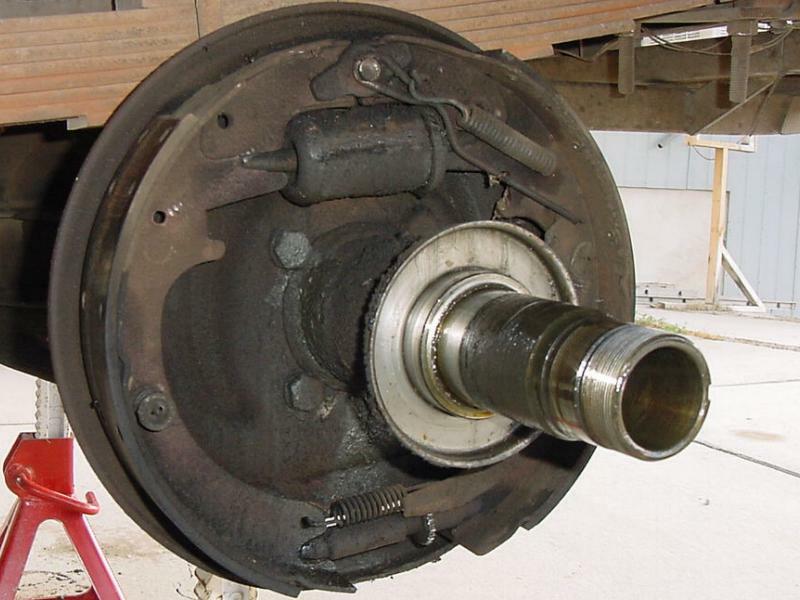 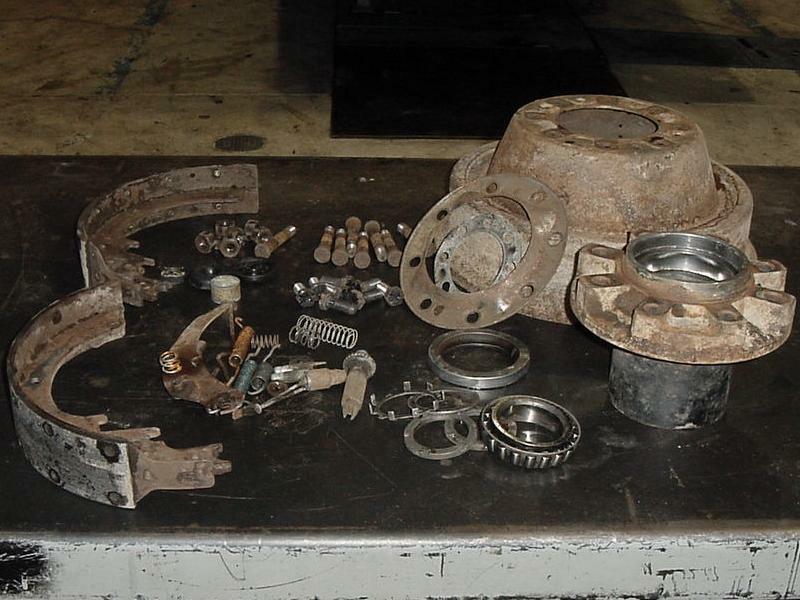 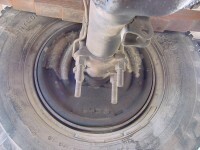 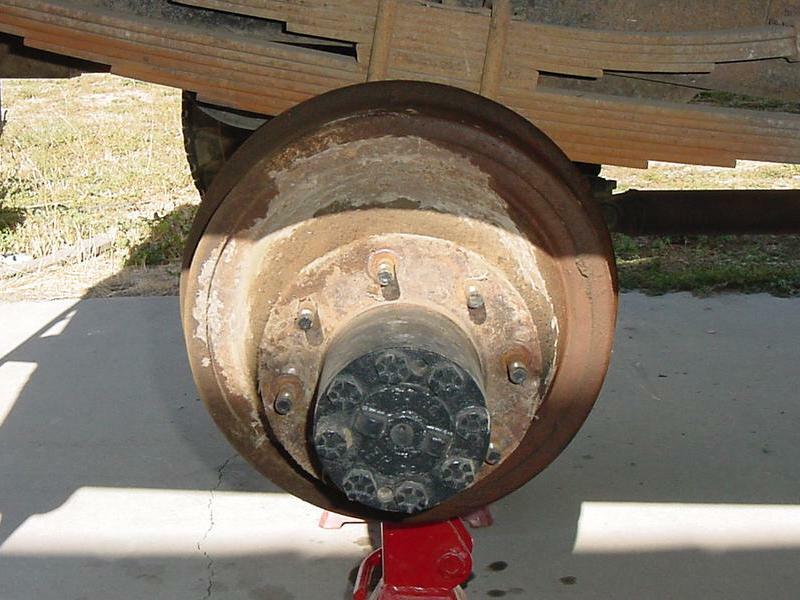 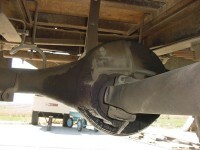 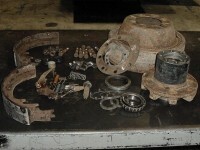 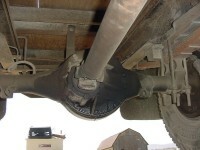 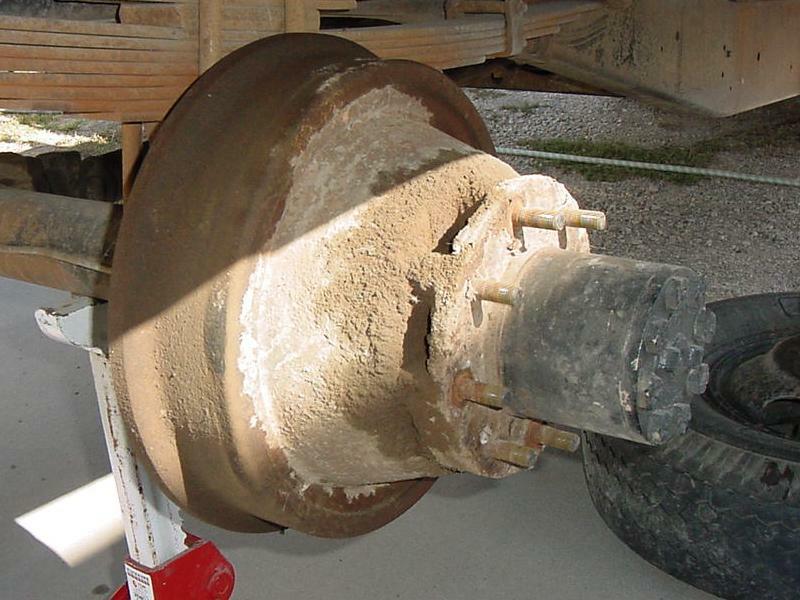 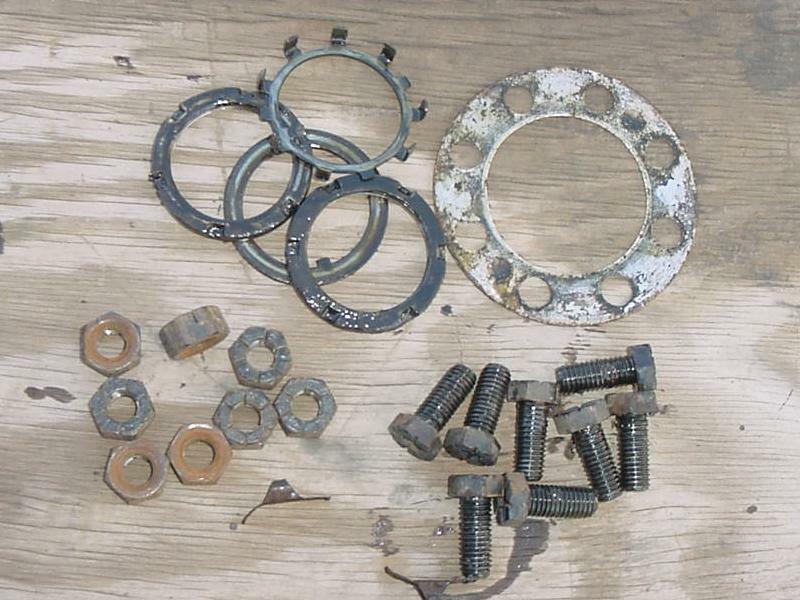 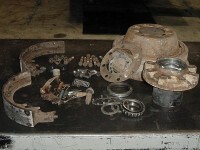 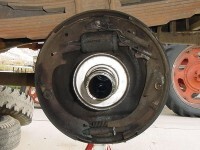 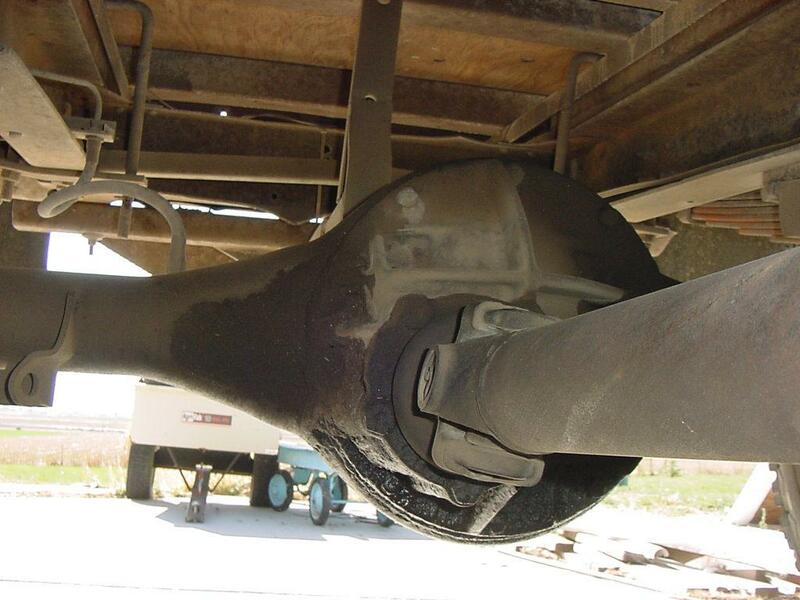 This is the axle in my 1965 One ton, as you can see in these photos, the pion seal and mount gasket are leaking. 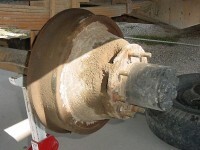 Also the Wheel Cylinders were leaking bad, it had very poor brakes. 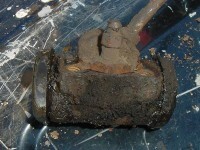 One cylinder was rusted tight on one end. 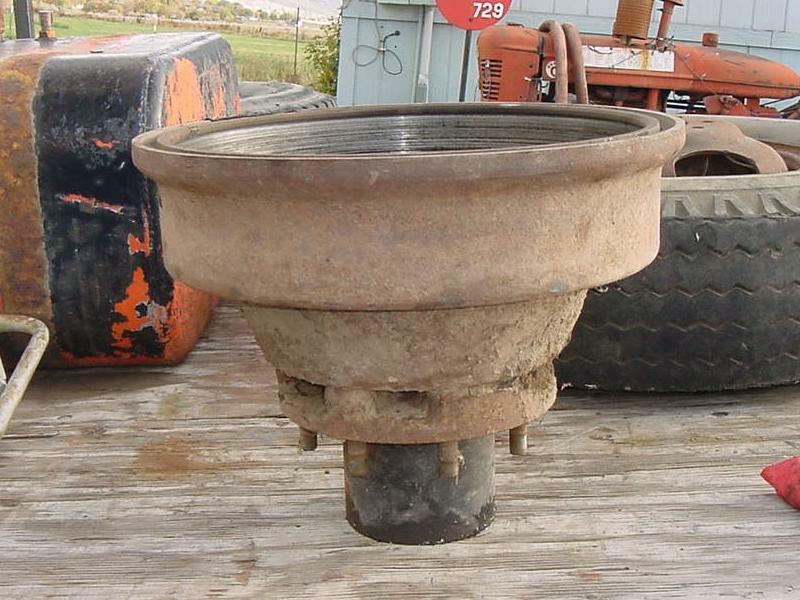 cylinders sitting on the self in SLC!!! Here are the NAPA numbers for these: 9344 & 9345, $106.86 each!!! looking for a early 90s GMC one ton Dually rear axle for this truck. 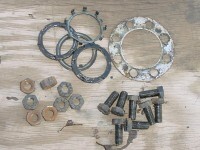 Below are pics of the brake reline. a gear ratio higher than 4.57:1 would be nicer to drive down the hiway as well. 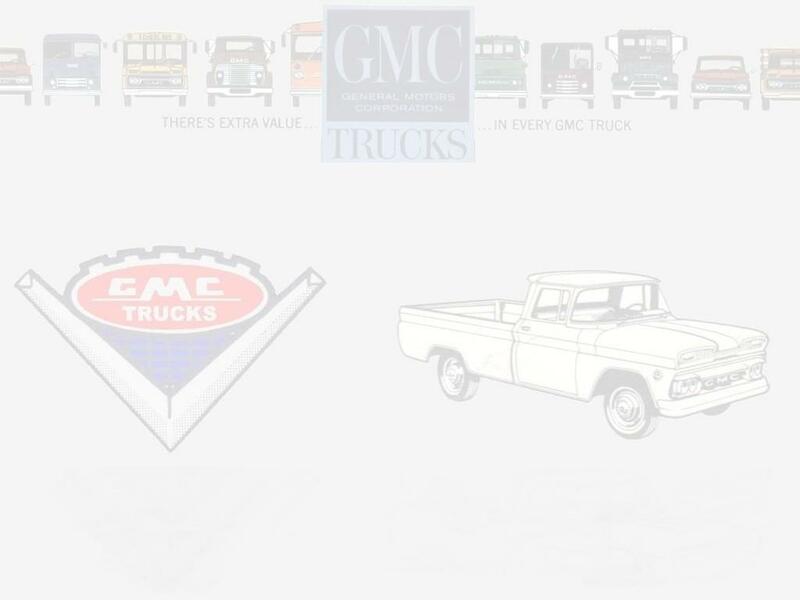 © 2000-2008 6066 GMC Trucks. 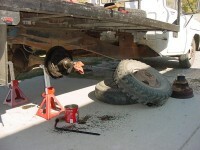 Last Updated December 10, 2008.